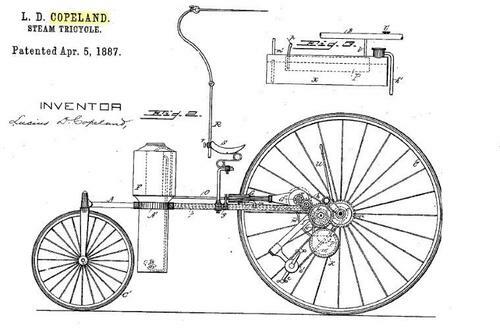 In 1884, Arizona engineer Lucius Day Copeland combined a highwheeled bicycle driven by levers, with a small steam engine, with the result being a steam powered motorcycle. 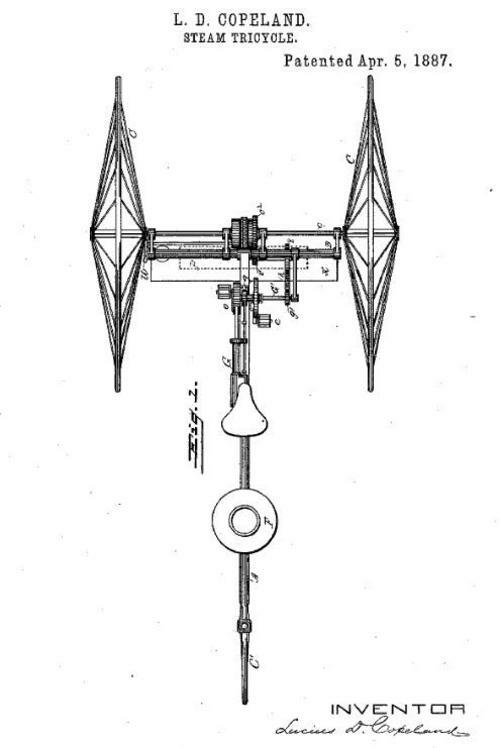 The steam engine developed about 1/4 hp, and had the boiler and gasoline heater buillt around the steering column. 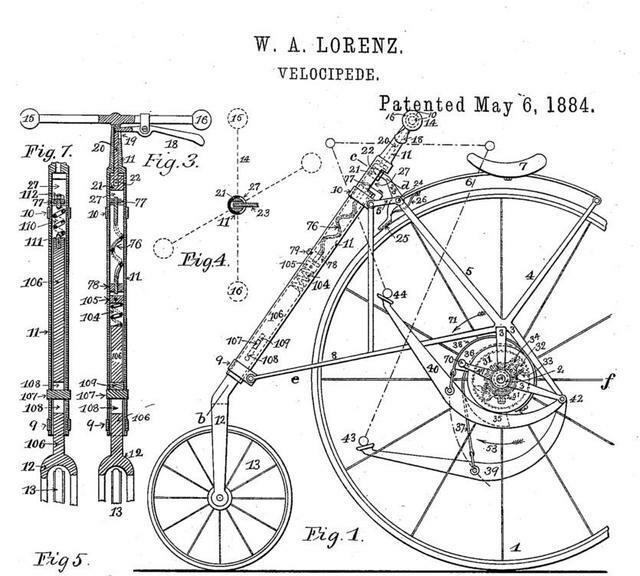 A flat leather belt drove the large rear wheel. The machine would attain about 15 mph, and carried enough fuel and water for an hour of operation. The "bicycle" Copeland started with appears to be like the one patented by Lorenz, shown below. 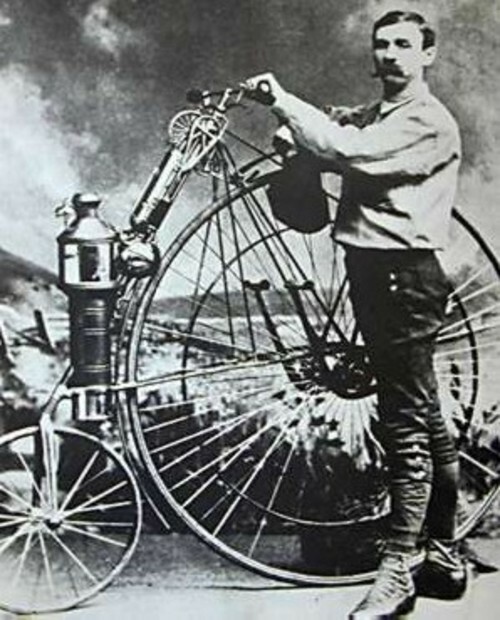 Lucius D. Copeland and his steam bicycle, 1884. Copeland didn't get any financial backing on the steam bicycle so he built in tricycle form, which is shown in his 1887 patent. Ahh classic technology. I think I'm going to grow a mustache like the guy in the picture above. Then and only then can I feel the breeze run through my hair when I'm speeding down the highway on my Buell 1125r.